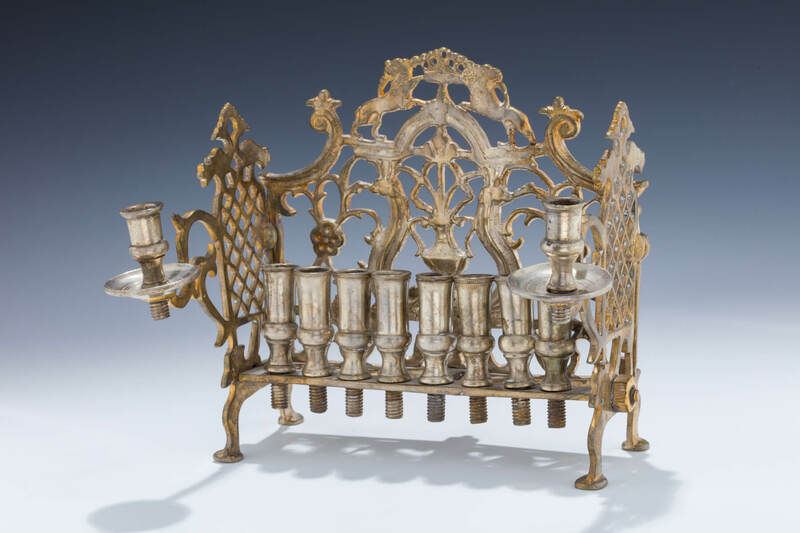 A LARGE BRASS HANUKKAH LAMP. Poland, c. 1770. On four feet with backplate decorated with a flowering urn, two lions and a crown. 9.8” wide.